Miss Loretta Bachman convinces a reformed rake, who has vowed to never sleep with another lady, to marry her and pretend he&apos;s deeply in love with her so she can impress the Ton. 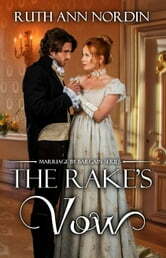 Thaddeus (Tad) Darkin, the Duke of Lambeth, used to be a rake. In fact, before Lord Edon was scandalizing the Ton, Tad was the one everyone was talking about. Many gentlemen secretly wished they had his charm with the ladies. All reputable ladies were warned to stay as far from him as possible, which only made him all the more attractive. Then, after a tragic event, he took a vow of celibacy, promising he would never be intimate with another lady again. Over the years, this caused him to be the most sought-after single gentleman in all of London. And even though he doesn&apos;t want to marry, his steward left him in financial ruin, so whether he likes it or not, he must take a wife. After being rejected by the gentleman she was hoping to marry, Miss Loretta Bachman is on a mission to save her reputation. She needs to marry someone who will impress the prestigious ladies in her social circle. 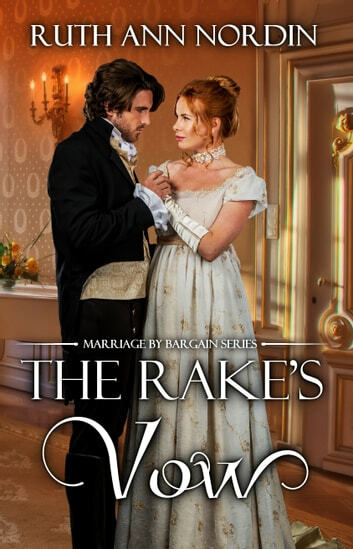 So when she catches the leader of the group talking about the very handsome and hard-to-get Duke of Lambeth, she&apos;s determined to get him to marry her. All she needs is a little bargaining power, and fortunately for her, she happens to have the money he needs to save his estate. When she learns of his vow to remain celibate, she agrees to keep away from his bed. After all, her only reason for marrying him is to secure her social standing in London, not to have a love match. All she asks is that he pretends to be deeply in love with her when they&apos;re in public. That way she will succeed in impressing the Ton. But before long, the lines between what is pretend and what is real starts to blur, and it&apos;s hard to decide how far to push the limits of their agreement. Great love story, well written! An amazing story about how love can change a person. I absolutely adored the book!